For example, if you have an mp3 audio file for a sermon in your web hosting account which is 20 MBs, it takes up 20 MBs of disk space. If that sermon is listened to 100 times in a month, that uses 20 MB x 100 = 2,000 MB or 2 GB of bandwidth. The most common audio file format is MP3 which requires about 1 MB per minute. So, let’s do the math… if your pastor’s sermons are 20 minutes long and there are 52 Sundays in a year, that means you need 20 MB x 52 = 1,040 MB (or about 1 GB) of disk space for one year of sermons. Bandwidth is monitored on a monthly basis. So if you were to have sermons listened to 100 times a month, that’s 20 MB x 100 = 2,000 MB or 2 GB of bandwidth a month. Video is a little more difficult to estimate because there are many options for height, width and frame rate. A common video format is MP4 at a resolution of 720p (1280 x 720) which typically takes up about 20 MB per minute. So, that same 20 minute sermon which takes 20 MB for the audio file takes 20 x 20 = 400 MB for a video file. Multiply that by 52 weeks = 20,800 MB (about 21 GB) disk space for one year of sermons. If people were to watch sermons 100 times per month, that would be 400 MB x 100 = 40 GB of bandwidth. You can see why churches that want to archive sermon videos and larger churches that get a lot of video views often use a video sharing service like YouTube or Vimeo. 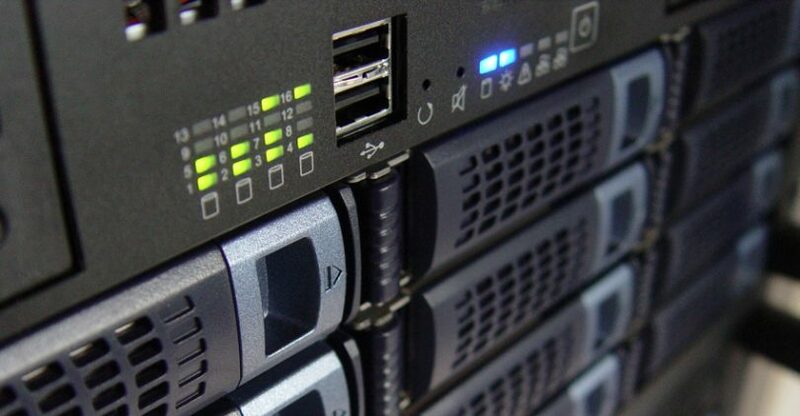 Some web hosting companies and some DIY web builder companies, will tell you that you get “unlimited disk space” or “unlimited bandwidth” with your account. But that is impossible. If you tried to run a video streaming service like Netflix from a $10/mo web hosting account or a $20/mo DIY web builder account, they would shut you down. OurChurch.Com offers 3 church web hosting packages, each one has a different amount of disk space and bandwidth, so you can factor that into your package selection. 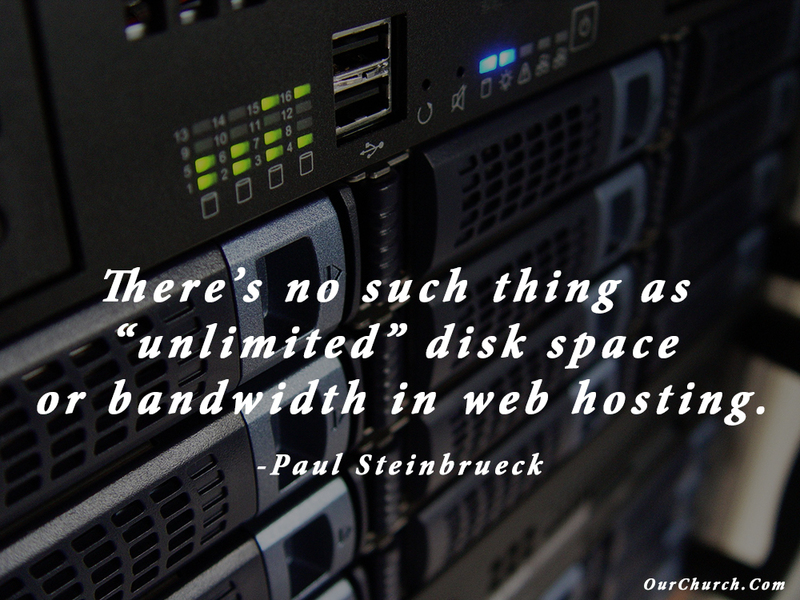 How much disk space and bandwidth does your church website use? Got any questions about disk space or bandwidth?